3. Water the plants. The house. 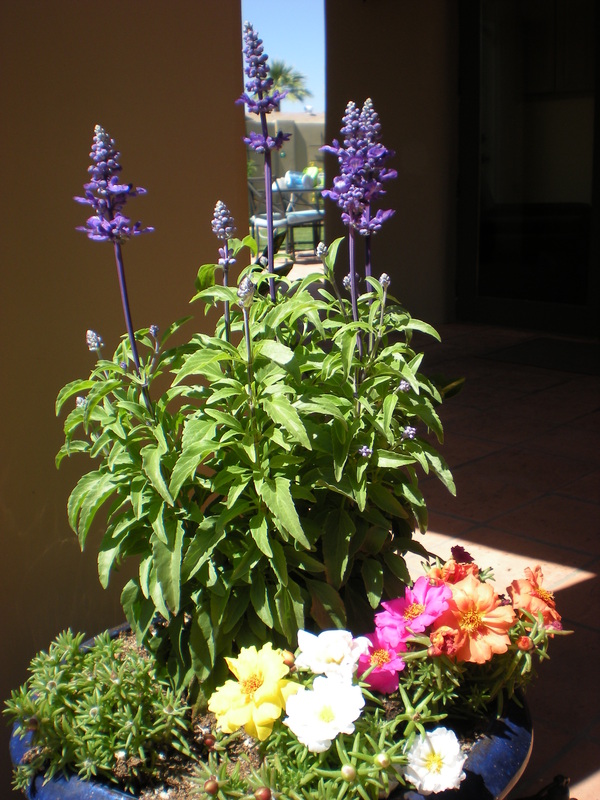 The patio. And herself. But we did get a lot new color in that will hopefully last at least until it’s 110! 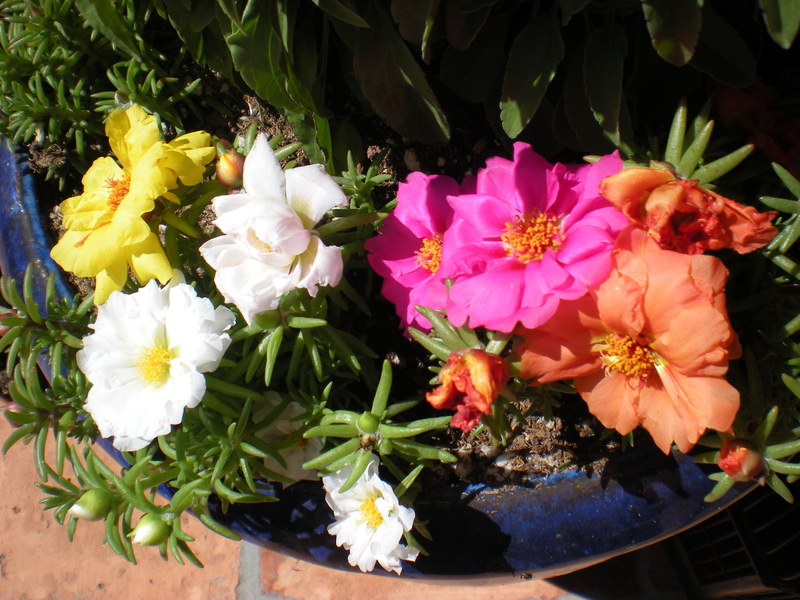 Beautiful Salvia and Portulaca – a favorite! 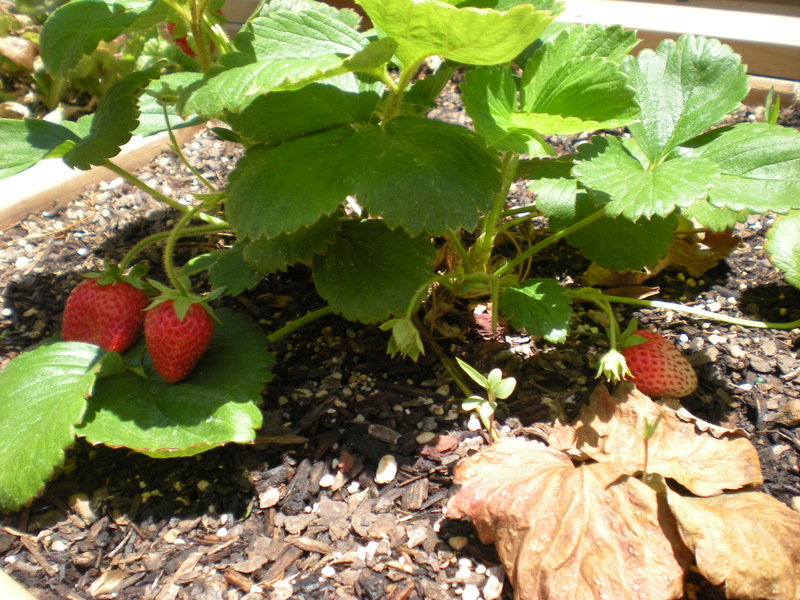 Finally getting bigger berries – these are aaalllmoosst ready! 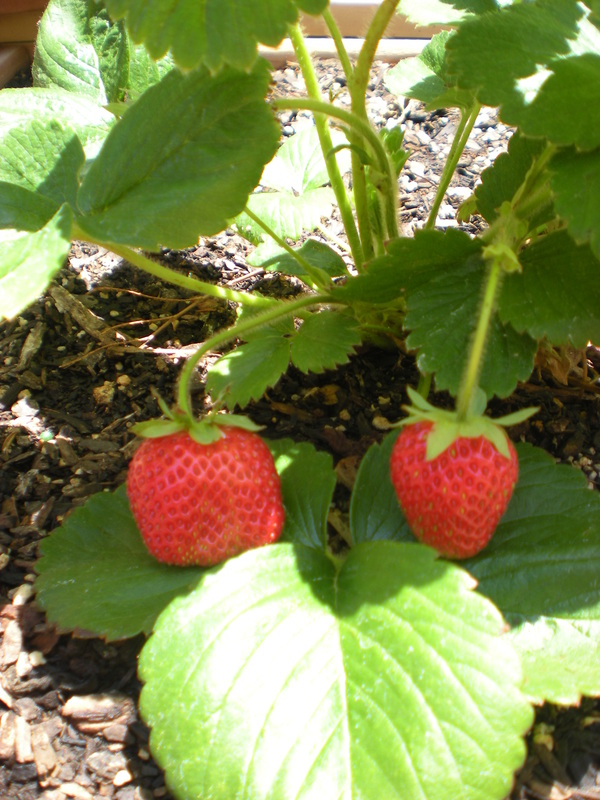 If you can grow strawberries without a squirrel eating them I am soooooo jealous. Like your strawberry plants. Pick first raspberry yesterday. Lovely.